“Sally, my daughter, started attending Green Hill Therapy in 2009 for delay issues with motor skills, her arm with writing and some other physical issues with her hip. We later got her eyes corrected, but that was another undertaking with multiple eye therapies, different glasses and doctors. We lived in Louisville from 2007 until 2013. My husband was a reporter for WHAS-TV and he got a great opportunity in Tampa, FL with the ABC station here, thus we moved. Our experience at Green Hill was wonderful and we were so grateful for the assistance. The horseback riding made a huge difference in Sally’s life, and thus after being released either a year or two later, she continued to ride and trot and canter, and to this day knows how to ride well. Sally was held back in kindergarten. After her eyesight was corrected, and with the large improvement she made at Green Hill, and continuing horseback riding and gymnastics, all of these areas continued to help her tremendously, as she was born premature. Upon relocating to Florida, the school she attended was a rigorous program, and when she entered in second grade, she should have been in third grade by birth. However, by October of that year, the school recommended she skip the rest of second grade and go to third grade, which is where she would have been had she not been held back. She had made so much progress she had caught up and was excelling. 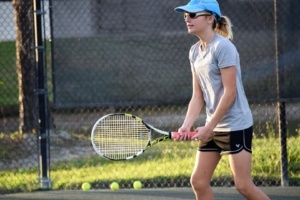 Since third grade, she has maintained a straight A GPA, and she is now in sixth grade at an IB school, Carrollwood Day School, which is a college prep school with advanced placement. She is a high level competitive tennis player in the USTA, ranked in the top 20% of the state in girls 12 in tennis out of 4,000 players. She maintains all A’s while becoming an accomplished guitar player and singer, performing at church and school. She stills rides horses when the opportunity allows. As she just celebrated her 12 birthday this past weekend, who would have thought from where we started we would be where we are today. I always believed in Sally and knew she would overcome, but she has achieved far more than I could have imagined in 12 years. I believe Green Hill was the blessing from God that intervened and made a huge difference in her life and started her down the right development path which took off from there. Testimonial has been edited for length. There are not enough words that could express our gratitude for Green Hill Therapy and all it has done for our wonderful son, Brayden. 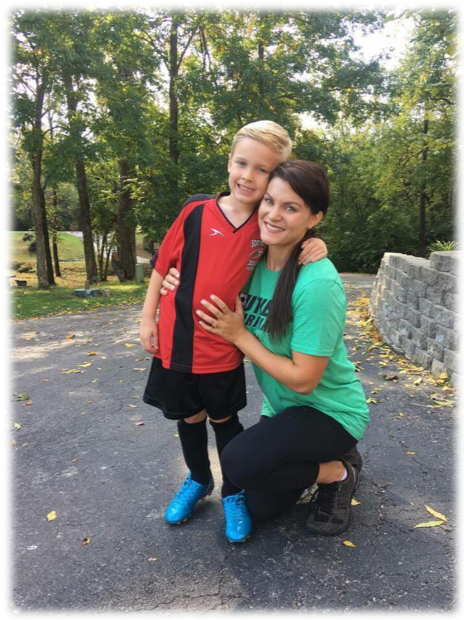 Our son was diagnosed at 3 years old with Autism, low tone, and Delayed Development. Brayden was nonverbal, barely understood what was asked of him, crashed into everything he possibly could for sensory stimulation, could not touch the ground with his bare feet, lacked all eye contact, hated the texture of almost all foods, wouldn’t hold a pencil or catch a ball and those are just some of the struggles he had. Not knowing what we were in for, we frantically did our research knowing that we needed Brayden to get involved in everything that we could so that he could have the best life possible with no regrets on not doing enough. Green Hill Therapy was our top choice for occupational therapy, and when we got the green light I remember bursting into happy tears. Brayden has spent the majority of his life here at Green Hill Therapy, and his younger sisters have sat through every appointment, their entire lives. He has occupational and hippotherapy as well as aquatherapy and his progress is unbelievable. 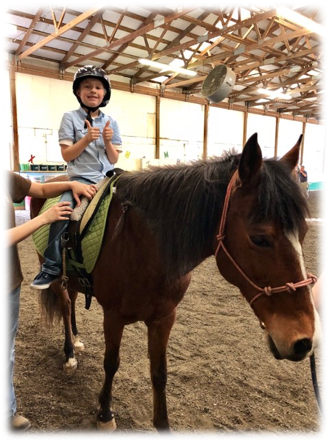 The in-depth care that the therapists and horses at Green Hill have provided Brayden has encouraged and helped him develop the skills to speak and show everyone all the love in the world, use his coping mechanisms when he seeks input, and gain self-care skills needed for everyday life. As a parent it gives us peace of mind that on this journey we have Green Hill holding our hand and he is receiving the best of the best. We are so incredibly thankful for the genuine interest and adoration they have for our son. Their skill and their dedication to providing the best therapeutic interventions makes our hearts burst with joy. We love Green Hill Therapy! “Jack is 18 years old. He always has a smile on his face, he loves to hear jokes and to listen to funny stories. He loves sports especially baseball. He enjoys spending time playing games on his iPad, going to movies and out to eat with his cousins and watching sports, movies and YouTube videos on his TV. Jack started at Green Hill when he was still in the First Steps program. He was two years old and started riding Daisy in the field with Shirley being his therapist. Green Hill has helped us tremendously. Not only does Jack benefit greatly both physically and emotionally from the hippotherapy, there is also much support and many resources, suggestions and ideas that we have gained from going to Green Hill over the years. From our experience with hippotherapy, Jack has benefited tremendously. It helps to strengthen his core and loosen the stiffness in his arms and legs. It helps him with focus, self confidence and his attitude. His favorite part of his sessions is when he is in the arena and one of the horses makes noises. He is still a little boy at heart! 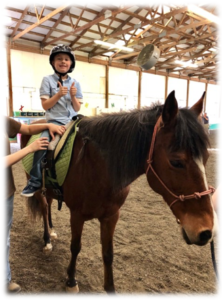 He loves to ride his horse, Freya, and interact with his therapist, the staff, volunteers, and other clients.” – Michelle U.